Stuffed salmon fillet with spinach and cream cheese | Nashi Food! Stuffed salmon fillet with spinach and cream cheese, easy to make and ready in just 30 minutes. A few weeks ago, I was trying out some new ideas on how to prepare salmon fillets, after a few tries; I enjoyed how these fillets turned out. 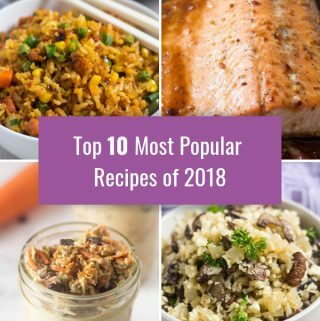 Salmon is one of my favorite fish, for its taste and it is easy to cook. 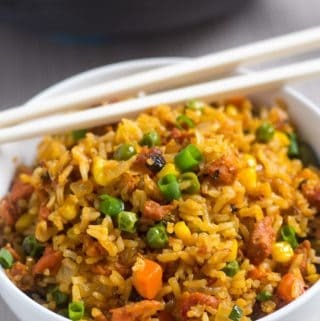 I usually get it easily in supermarkets plus it is very versatile in cooking. 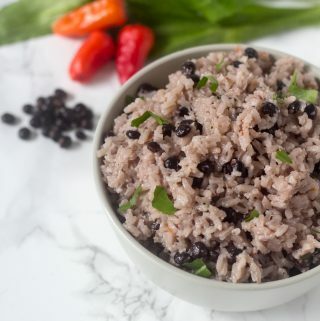 The most important part is that the recipe is really easy and quick to make. 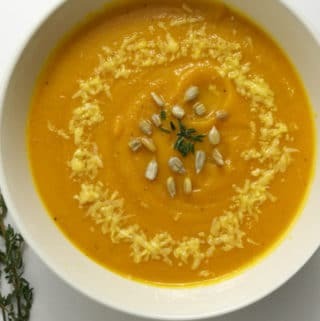 This one is also a great way to sneak in some veggies. Lately, I have been lacking in this part but I’m getting there. Just to add a little health note: Salmon is a great source of protein to include in your diet, also it is high in omega-3 fatty acids. WHAT INGREDIENTS WOULD YOU NEED TO MAKE THE stuffed salmon fillets? For the utensils, we would need to use the following tools: a sharp knife, a baking sheet, a medium nonstick skillet, aluminum foil. We will start prepping the salmon fillets, cutting them lengthwise so we can add the stuffing later. To create the foil pockets, you need to cut two pieces of foil long and wide enough so that the fillet fits inside and it can be closed by folding up and the ends. 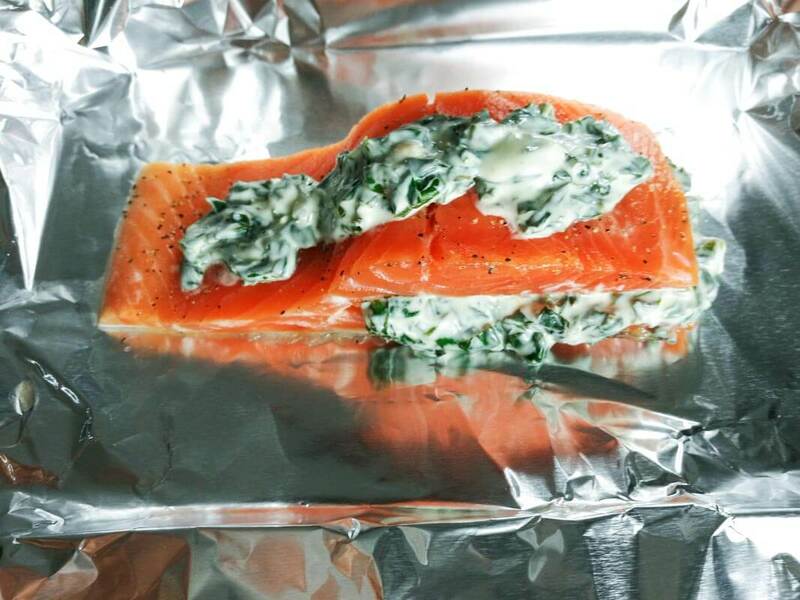 In this foil pocket, the salmon fillets will cook nicely without overcooking or drying. Once we have our pockets ready we place our fillets in the center and season with salt and black pepper. Next, we would cook our spinach with garlic, nutmeg, olive oil and a pinch of salt, then we would mix it with the cream cheese so we can start stuffing our salmon fillets (as seen in the picture below). Now that each of the fillets is stuffed, close each foil pocket and place it in the oven for 15-20 minutes depending on your salmon fillet thickness. 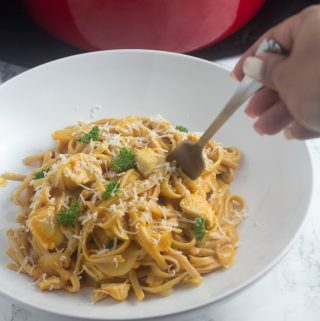 It took 20 minutes to be fully cooked. You will notice that the salmon is ready once it has opaque color, and it should flake apart easily. Cut each salmon fillet lengthwise from the thick part of the fillet inwards; as you were going to make the fillet thinner. This is where the filling will be placed later. 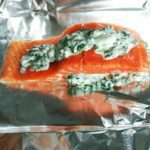 Cut two pieces of foil long and wide enough to create a pocket in which the salmon will cook when folded over the center and folded up on the ends. 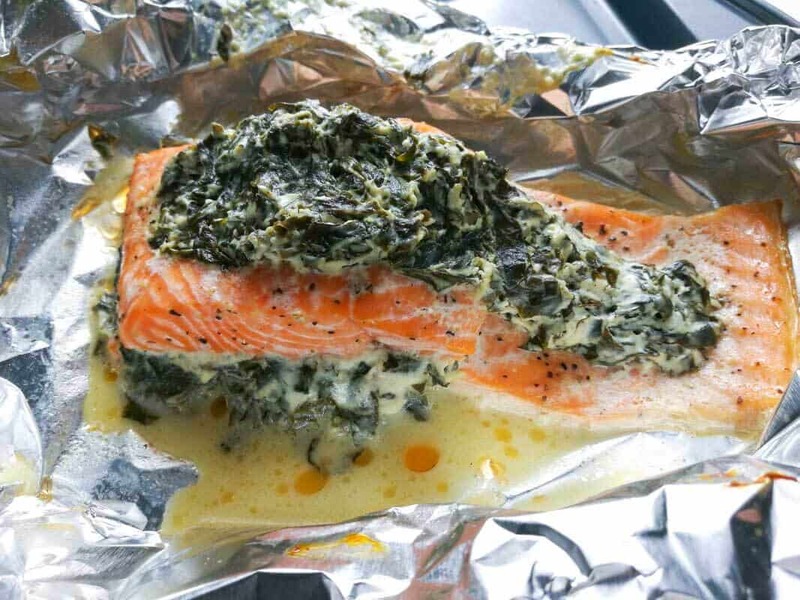 Place each piece of foil on a large baking sheet and put each salmon fillet in the center of each piece of foil. Sprinkle each fillet with salt and black pepper. Add the garlic to the skillet, and cook for 30 seconds or until it becomes fragrant. Avoid burning the garlic. Add the spinach to the skillet and cook for 5 minutes, stirring frequently. Stir in a pinch of salt and the nutmeg and cook for another 3 minutes; remove from heat. 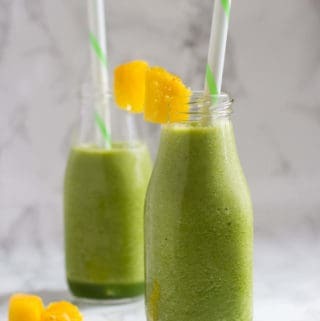 Mix the cooked spinach with the cream cheese and set aside. 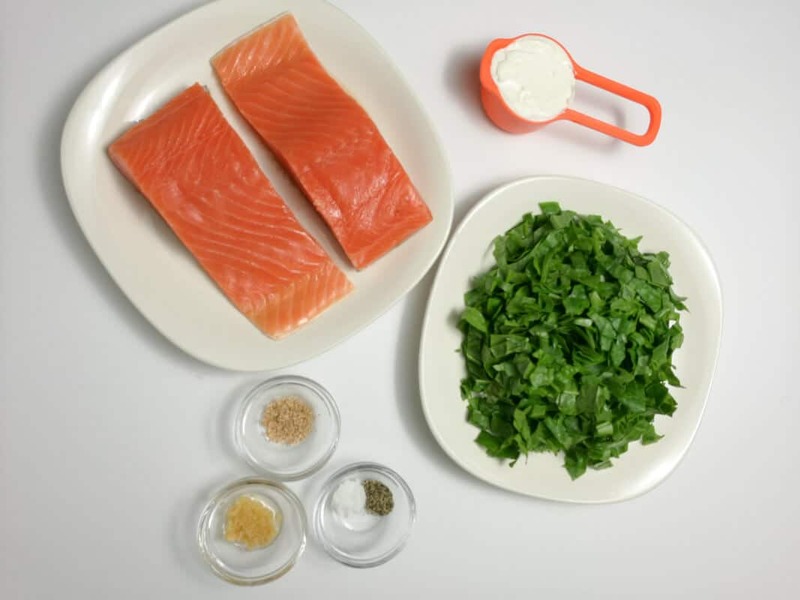 Divide the spinach and cream cheese mixture in two, and place in the salmon fillet, in case there is some left you can put it on top as I did (see image). Close the foil pocket and bake in the oven for between 15 to 20 minutes. 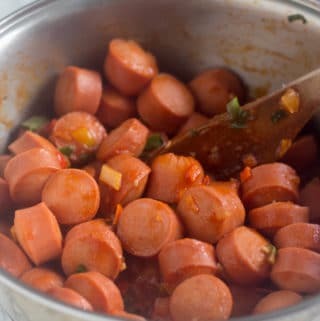 For this recipe, I used the following tools: a sharp knife, a baking sheet, a medium nonstick skillet, aluminum foil. 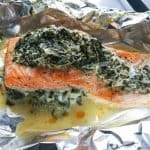 The foil packet method is easy and helps to cook the salmon or any other fish nicely without overcooking or drying. You will notice that the salmon is ready once it has an opaque color, and it should easily flake apart. Also if you love salmon like me, you can go and check out my Mediterranean crusted salmon which is also ready in just 30 minutes.